According to Spanish radio station Onda Madrid’s El Partido de la Una, Real Madrid have a deal in place to secure the services of Eden Hazard next summer, having reached an agreement with the player for a transfer. However, Chelsea have slapped a €170 million price tag on the Belgian superstar, a valuation that Los Blancos are unwilling to meet. 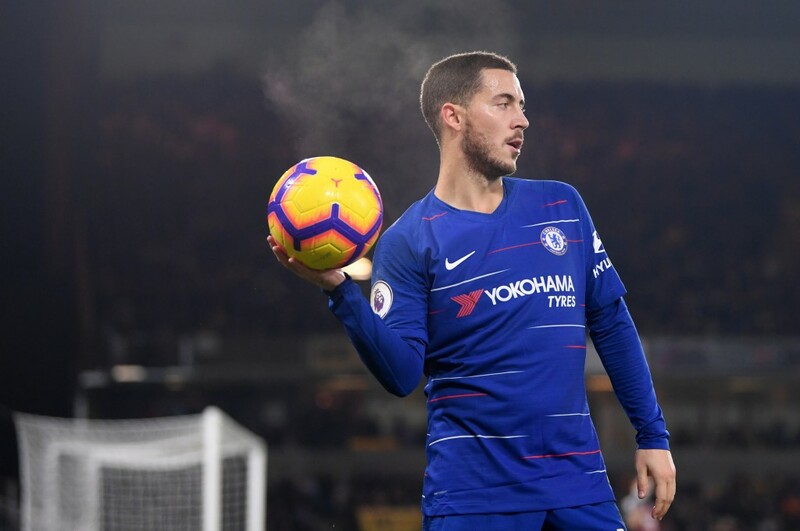 Real Madrid have flirted with the idea of signing Eden Hazard for quite some time now, having first set his sights on him over two years ago. But, for one reason or the other, the European champions have not been able to secure the services of the Chelsea superstar. While the Blues have been unwilling to part ways with the 27-year-old for obvious reasons, Los Blancos are believed to have pulled the plug on their pursuit of the player this past summer. But, with Marco Asensio and Gareth Bale flattering to deceive, the need to bolster attack has resurfaced for Real Madrid. To that end, the Spanish heavyweights have reportedly set their sights back on Eden Hazard. Swooping the player away from Chelsea though, will be a tall order, and for multiple reasons. The major stumbling block for Real Madrid in their pursuit of the Belgian superstar is his price tag. As per the report, Chelsea are set to demand a whopping €170 million in exchange for Hazard’s services. Unsurprisingly though, Real Madrid are unwilling to shell out the eye watering sum for a player who will enter the final year of his contract at Stamford Bridge next summer. For their part, the Blues are desperately hoping to reach an agreement with Hazard over a bumper new deal that will boost their hopes of keeping hold of him. But, negotiations have been moving at a snail’s pace, which puts Los Blancos in an advantageous position. That they are admittedly Hazard’s dream club also makes things easy for Real Madrid in their pursuit of the player. And, the 13-time Champions League winners have taken a major step in securing the services of the 27-year-old, having already reached an agreement over a possible deal next summer. Their primary objective will now be the reduction of Chelsea’s €170 million asking price. To that end, Real Madrid are willing to offer Mateo Kovacic as part of a player-plus-cash deal. Los Blancos could also perhaps use the Blues’ interest in Isco by including him in a deal to land Hazard. The rumours surrounding Real Madrid’s chase for Eden Hazard have well and truly resurfaced. While it goes without saying that the Belgian winger will be a top notch addition at the Santiago Bernabeu, it will be interesting to see if the Merengues are able to finally secure the services of the player, perhaps by using one of their own players as a makeweight.